Other photos: AFT, OUTSIDE, AFT, FRONT, SUNLOUNGER, COCKPIT, COCKPIT, COCKPIT, COCKPIT, COCKPIT, COCKPIT, LOCKER, DINGHY, DINGHY, DAVITS, AFT IN THE FLYBRIDGE, ELECTRONICS, ELECTRONICS, FLYBRIDGE AREA, SALON IN THE FLYBRIDGE, SEAT, SEAT, WHEEL, ELECTRONICS, ELECTRONICS, ELECTRONICS, RADIO, AIR CONDITIONNING, AIR CONDITIONNING, AIR CONDITIONNING, FRIDGE IN THE FLYBRIDGE, ICE MAKER, CUPBOARD, FLYBRIDGE TABLE, TABLE, LIFERAFT, LOUDSPEAKERS, LOUDSPEAKERS, SINK, DAVITS, DECK SHOWER, COCKPIT SPEAKERS, SEATS IN THE COCKPIT, STAINLESS STEEL, STAINLESS STELL, STAINLESS STEEL, WINDLASS, ELECTRICAL WINDLASS, CHAIN, ANCHORE, FENDERS PLACE, OUTSIDE BOAT, FENDER, BBQ, Photo 55, SALON, SALON, SEAT, SALON, GALLEY, TABLE, GALLEY, GALLEY, SEAT, MICRO WAVE OVEN, CUPBOARD, GALLEY, AIR CONDITIONNING, TV, SALON, SLAON, SEAT, ELECTRICAL BOARD, 110V, WOOD, LOUDSPEAKERS BOSE, STEP, MASTER CABIN, MASTER CABIN, BATHROOM IN THE MASTER CABIN, SHOWER, HEAD, BATHROOM, 2ND CABIN, STEP IN THE CABIN, WINDOW, SHOWER, TV, SHOWER, 3RD CABIN, CABIN, TV, WASHER DRYER, PUMP, ENGINES ROOM, ENGINES ROOM, ENGINE, ENGINE, ENGINES ROOM, ENGINES ROOM, ENGINES ROOM, ENGINES ROOM, ENGINES ROOM, GENSET ONAN, LAYOUT. This nice Sea Ray had a refit in 2016 ! She's very well maintained by owner !The engine room is very clean ! Engines service have ever done at 1000 Hours even if they have 882 Hours (18 January 17). The large flybridge is full equipped with the air conditioning, table, fridge, loudspeaker, covers etc. The salon is like a small yacht as you can see on our pics ! The master cabin is very spacious ! And you can have 6 pax onboard. 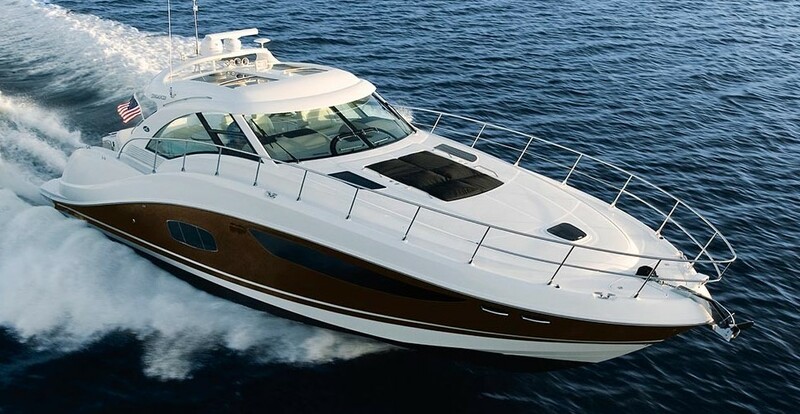 Full equipment : Air conditionning, Genset, dinghy, TV, spacious flybridge etc.